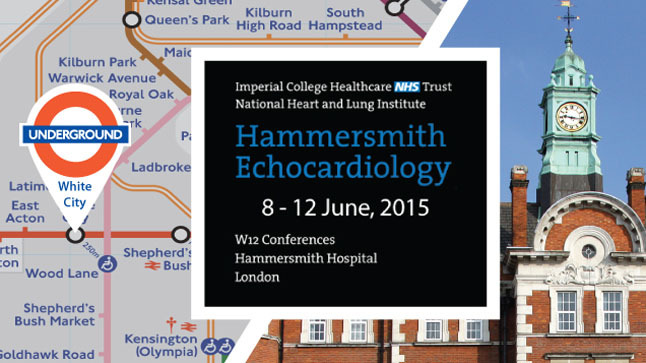 Hammersmith Echocardiology Conference - Livemedia Cases - Livemedia - Ζωντανή μετάδοση μέσω internet και αποθήκευση συνεδρίων, εκδηλώσεων, εκπαιδευτικών σεμιναρίων, webinars, ρεπορτάζ και ειδήσεις. 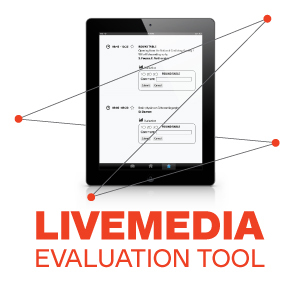 Web κανάλι Livemedia. 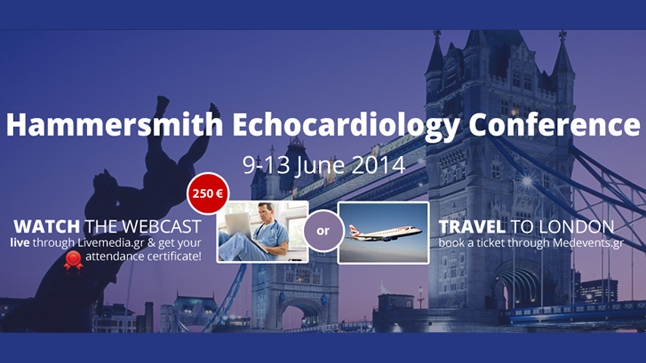 Livemedia web broadcasts Hammersmith Echocardiology Conference for five years in row. 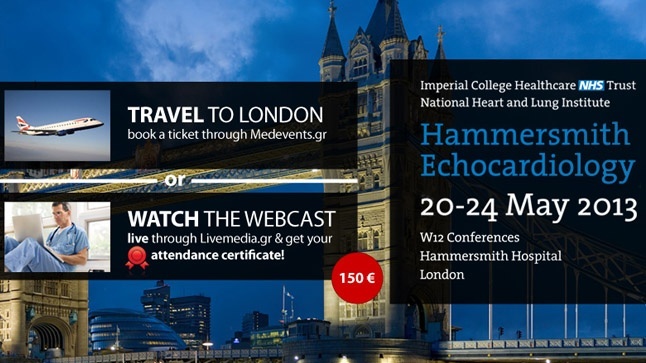 Our crew based in London live streams the Conference with the latest technology equipment contributing in adding knowledge to physicians around the world.